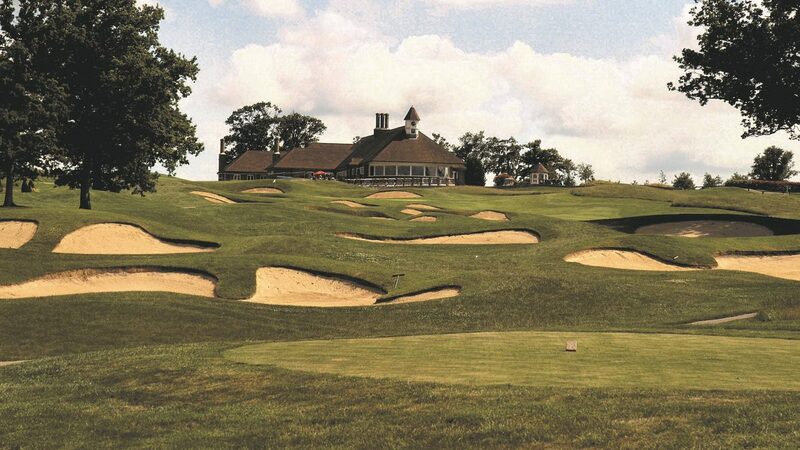 The spectacular Nick Faldo-designed golf course at Chart Hills Golf Club is situated on the northern boundary of the Weald of Kent with over 200 acres of gently undulating hills, just 20 miles from the M25. Chart Hills Golf Club offers outstanding facilities on all fronts from conference to dining and wedding facilities and of course is an 18 hole championship golf course. Recognised as one of the top courses in Europe by the prestigious Peugeot Golf Guide 2008 – 2009 and ranked in the Top 100 by Top 100 Golf Courses and by Golf World Magazine. Chart Hills welcomes both Societies and Corporate Events. We can tailor a day that is right for you or you can choose from one of our 3 Packages. All packages include Nearest the Pin and Longest Drive Competitions, and are subject to group sizes of 12 or more. One Course Lunch or Dinner. From the M20 in Kent: Take junction 8, signposted to Lenham and Leeds Castle, follow the signs to Leeds Castle. Once on the B2163 pass the Castle entrance continue to the first major crossroads. Turn left towards Tenterden (the A274), follow the road on to Headcorn Road. As you will pass a garage on your right. Take the next left and left again into Chart Hills.